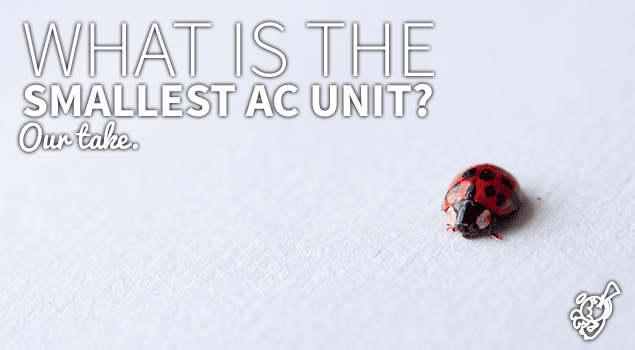 What is the smallest air conditioner? • The Air Geeks, reviews of air conditioners, dehumidifiers and air purifiers. Blog, Portable Air Conditioners » What is the smallest air conditioner? Are you looking for a suitable cooling solution that will help to transform the environment of your bedroom, kitchen, or living room? If you have been struggling to stay in a room with unfavorably high temperature, then you should consider investing in an air conditioner. In today’s market, it is easy to get a cooling solution that is suitable for your unique cooling needs. Even for small spaces, you can get a low capacity unit that will keep the temperature of your room within the desired levels. Before you go for a particular air conditioner, it is important to understand your cooling needs. To enable you to get a solution that is suitable for your needs, most manufacturers provide recommended sizes for their products. For best performance, you should select an air conditioner with a capacity that is recommended for your space. If you select a solution that is designed for spaces that are smaller, it will not be able to provide you with the environment that you desire. On the other hand, if you choose a cooling solution that is recommended for spaces that are larger than your room, it will waste energy. Most air conditioner brands are available in a variety of capacities to enable users to select solutions that match their cooling needs. High capacity air conditioners are meant for large spaces while low capacity units are suitable for small spaces. To start with, 14000 to 15000 BTU portable air conditioners come in different sizes. The Honeywell MM14CCS measures 15.7 x 16.5 x 29.3 inches and it is one of the smallest 14000 BTU air cooling solutions that you can get in the market. In case you are looking for a 12000 to 14000 BTU portable air conditioner, then the market has a wide variety of products to choose from. The Honeywell MN12CES measures 15.7 x 16.5 x 29.3 inches and it is one of the smallest 12000 BTU air conditioners in the market. This unit is recommended for spaces that are up to 400 square feet. If you are looking for an air cooling solution for a medium-sized space, then you should go for a 10000 to 12000 BTU portable AC. The LG LP1014WNR measures 11.8 x 17 x 31.3 inches and it is one of the smallest 10000 BTU portable solutions in the market. The manufacturer recommends this unit for spaces that are up to 300 square feet. 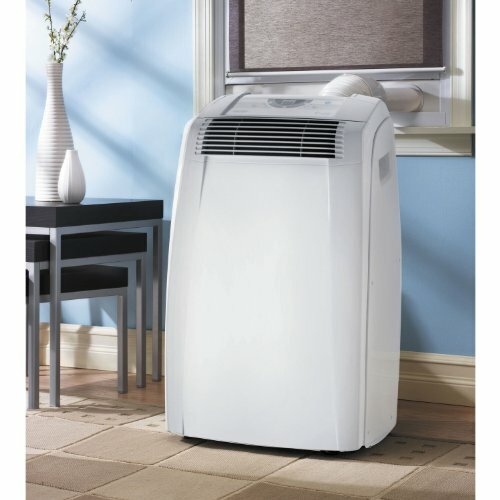 For relatively small and medium rooms, you can go for a 5000 to 8000 BTU portable air conditioner. If you are looking for the smallest air conditioner that is within this range, then you should consider the Haier HPB08XCM. This cooling solution offers a cooling capacity of 8000 BTU and it is recommended for spaces that are up to 250 square feet.